Units 1 & 13 comprise of a 240 sq.ft. 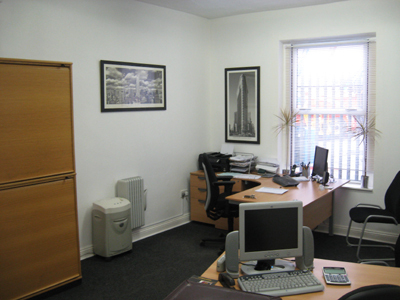 ground-floor office, and a separate 208 sq.ft. 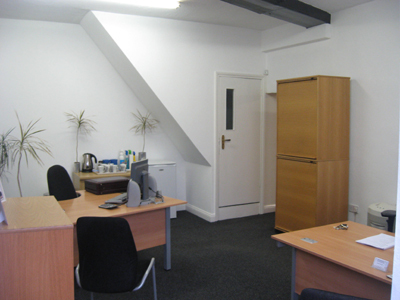 office above, with it's own private staircase between them and beamed vaulted ceiling. 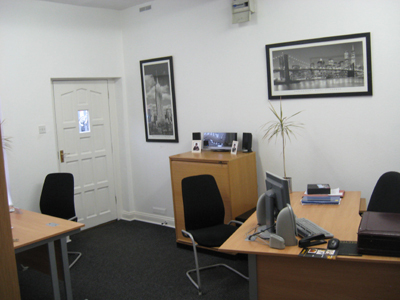 There is direct ouside access to the unit, and the unit also has shared toilet and kitchen facilities available, and is available with just one month's rent as a deposit. The rental is an all-inclusive price, payable monthly in advance, which includes rates, heat, light, electric, water, parking, furniture if required, and even free WIFI.